Here at Mojo Websites, we are dedicated to helping small businesses succeed, and because of this, we will be releasing many DIY style tips and tricks on a whole manner of digital topics. From SEO through to web design and cPanel. We will keep these short and sweet so that you can leave here achieving more than just a sore head. There are plenty of free tools that every website owner should be using. The most obvious one is Google Search Console – however, most owners do not utilise this to its maximum capability. One of the best SEO tricks you can achieve here is to find out what keywords you are ranking for organically. By clicking on performance, the queries tab will show you what keywords potential customers are searching for on Google that discover your website. The pages tab can then show you what web pages on your site have been ranked under those keywords. It is after learning these pieces of information that the magic can begin. You should take the keyword and place it in said pages meta-title and description. 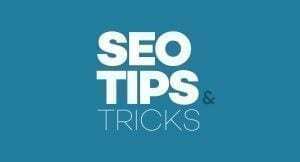 Following these steps will help that page rank higher for a keyword that is being used in the real world!